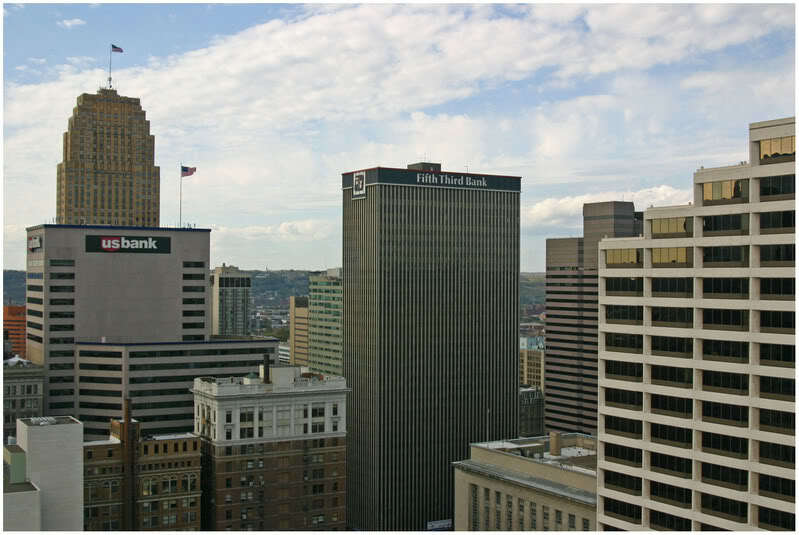 Downtown Cincinnati to get another new office tower, but is it an opportunity missed? On Monday dunnhumbyUSA announced that they had found a location for their new expanded headquarters. The consumer analytics company will build a new office tower at Fifth and Race in downtown Cincinnati. The embattled property had long been seen as a site for a tower by city leaders. Development plans, at some point or another, had called for a department store, theater, condo tower, office tower, or some combination thereof. Both Eagle Realty and Towne Properties had failed at developing the site beyond the surface parking lot currently located there. As one of the most ardent supporters of Cincinnati’s urban core, I am here to say that I am disappointed by this news. Yes, it is exciting that Cincinnati will be getting yet another tower built in its urban core as so much other investment takes place. And yes, it is terrific that a young company is flourishing in Cincinnati. The problem, however, is more complex. A new office tower will soon rise from the center-left of this vantage point as dunnhumbyUSA builds its new headquarters in downtown Cincinnati. Photograph by Randy A. Simes for UrbanCincy. As the renaissance continues to progress in Cincinnati’s urban core, the city must seize every opportunity to inject life where life has long since been vacant. The activity that follows should be thought about in a logical manner. What kinds of activities are found in what parts of the center city, and what is needed? In the case of the notorious Fifth and Race location, what is needed is after-hours street life. It is currently an area vibrant during the business day, but struggles to support businesses and street activity into the evenings and weekends. The development of a new office tower there does not address either of those issues. Yes, the new dunnhumbyUSA tower will be a boon for city coffers and develop a long underutilized piece of property just a block from Fountain Square. But the central business district needs more residents if it ever wants to support the likes of a grocery store, theater or other service retail. And there are very few sites well-suited for a high-rise residential tower beyond the Fifth and Race location that will now be occupied by a shiny new office tower. The alternate location for dunnhumbyUSA’s new tower would have been at The Banks where an office tower has been proposed at the corner of Second and Walnut streets. This is an area that is, infact, in need of daytime activity. Unlike the rest of the central business district, The Banks is primarily made up of high density residential and other entertainment that fills the streets into the evenings. What The Banks does not have is daytime business activity, and dunnhumbyUSA would have provided just that. Furthermore, a location at The Banks would guarantee increased parking revenues at the county-owned garages sitting beneath the development. This, in turn, would help to pay off the stadium debt that is crippling Hamilton County. If you are to look at things in order of sparking additional development, The Banks location also comes out on top. As most industry insiders are aware, it is difficult to make money on residential development, but office development makes money hand over fist if you can lease it. Such a tower at The Banks would have almost assuredly helped either pay off debts on the first phase, or finance the second phase of development there. Unless the Cincinnati Center City Development Corporation (3CDC) uses the profits to leverage additional development in Over-the-Rhine or in the central business district, the Fifth and Race location will not have the same ripple effect that would have been seen at The Banks. In my opinion, city officials should have been patient and sat on the Fifth and Race site until a deal came to pass that would have developed the site into a 20 to 30-story residential tower. Cincinnati may only have one or two sites well-suited to accommodate such a tower in its central business district now, but it could probably use three times that many to achieve the vibrancy that is needed. Let’s hope that the development plan for the Fifth and Race site includes some residential component to help offset this situation. Until then, chalk this one up as good news, but an opportunity missed.